Sealed by the Holy Spirit (verses 13 and 14). What a great God we have who loves us so much! Enjoy and reflect on these blessings explained here in the first chapter of the Book of Ephesians. After you have read the Scripture passage below, it's a good idea to answer the daily study questions. God Bless and enjoy your study of Chapter 1! 1. Who wrote the epistle of Ephesians and to whom was it written? 2. Paul describes himself as an Apostle. According to your favorite Bible Dictionary, what is an Apostle? To whom was Paul an Apostle? 3. If you were writing a letter to other Christians who attend another church how would you describe yourself? I’m a member of (name of your church). I’m a born again Christian. I attend church at (name of your church). 1. From verses 3 through 12, cite three verses where Paul says God made a decision about you before you made a decision about Him. 2. Verse 9 states that God made the mystery of His will known to us. What's the mystery of His will? How can you determine God’s will for your life? Can you share your experience learning God’s will for your life? 1. Looking at the first ten verses of Chapter 1, cite three verses that explain the purpose or reason for God’s plan for our salvation. 2. How can our understanding that God had a plan for us before we were born, and that we should be especially blessed by Him, hurt us if we misconstrue it? How can it help us in our daily walk and witness? 3. What do the first 14 verses of Chapter 1 teach us about the character of God? 1. How many verses from the Bible can you find where the Holy Spirit was promised as stated in Ephesians Chapter 1 verse 13? 2. Do you think Paul had visited with the church in Ephesus prior to writing this letter to them? Why or why not? 3. 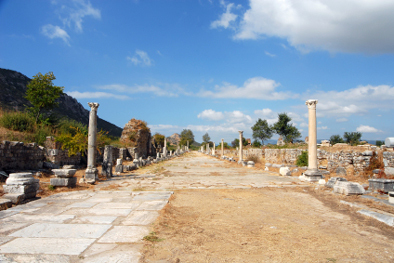 Paul says he prays for the believers in Ephesus. What does Paul ask God to give them? Entrance to the ancient city of Ephesus in modern day Turkey. 1. What four reasons did Paul give for asking God to give the believers these things? 2. From reading Chapter One, what's the ultimate purpose of our salvation? Cite the verse(s). 3. God’s Holy Spirit in us is God’s seal. From the following scriptures, what truths are signified by a seal? 1. In Ephesians Chapter 1 verses 19 through 23, we learn about God’s power. What impresses you about that power of God? What did God do with His power for Jesus Christ? 2. What do we learn from the following verses about God putting everything under the feet of Jesus? 3. 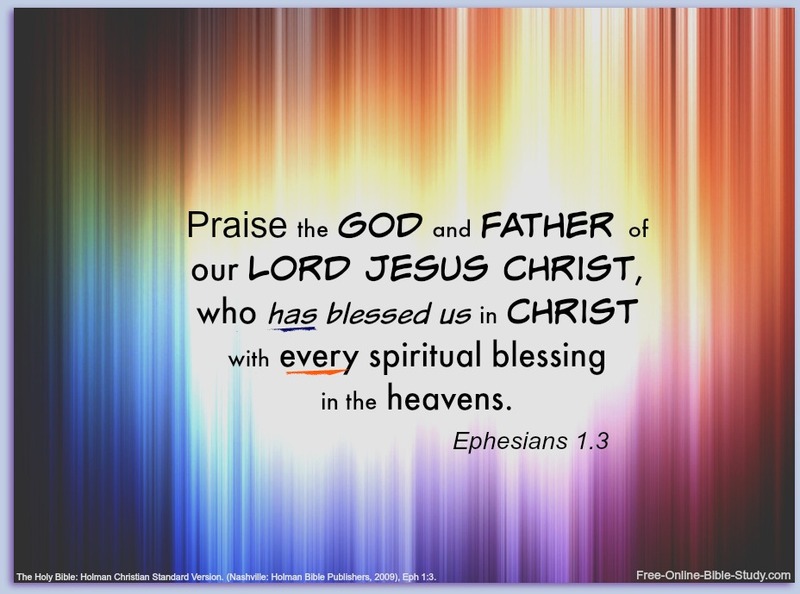 What blesses you the most about Ephesians Chapter 1?